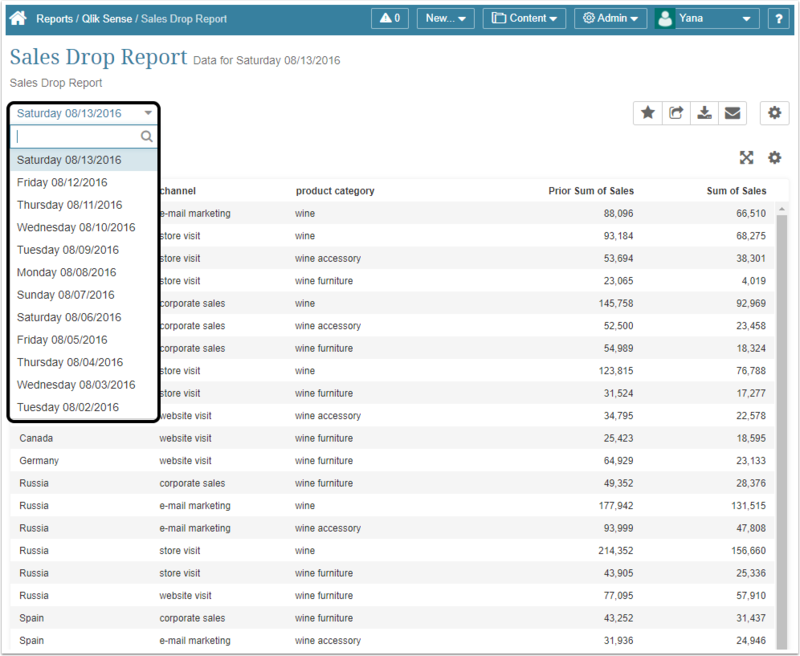 With Datasets, it is easy to create Reports displaying changes in data. 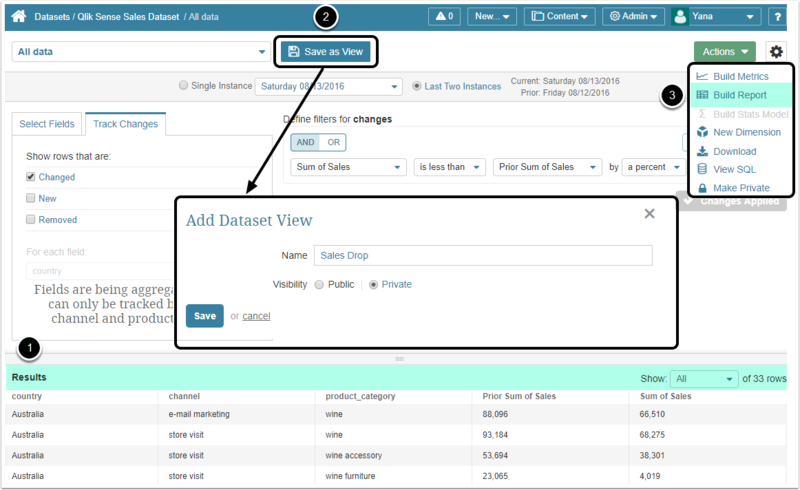 Now, the Dataset Viewer allows the creation of separate Views that surface relevant data changes. 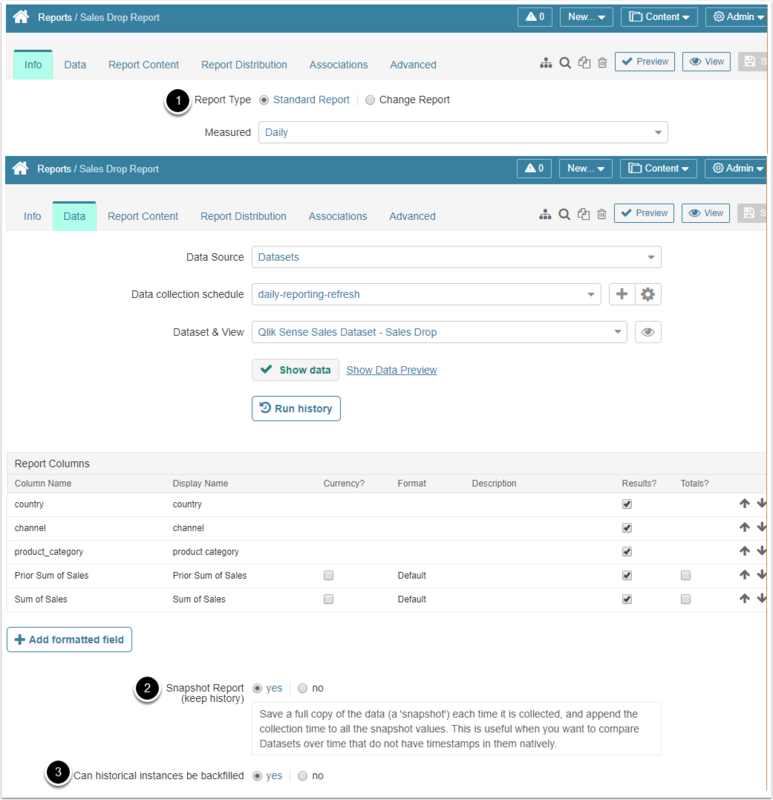 These views can be used to build Change Reports. A detailed step-by-step instruction is provided below. 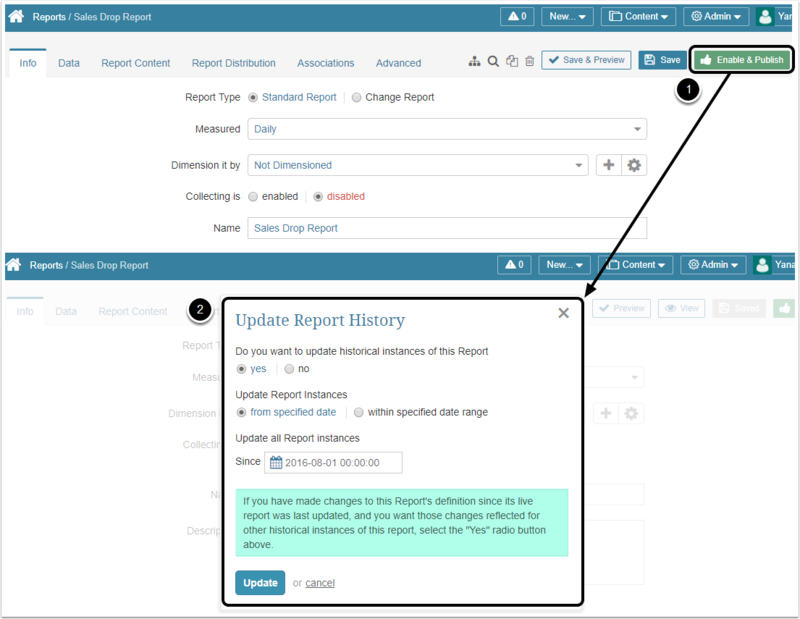 Beginning in Version 5.3, creating Reports has been greatly enhanced by using the new Dataset Reporting feature - please see: Dataset Reports Overview (New in 5.3) But the major steps to create a default report are the same. Data tab > Snapshot Report is set to "Yes"
Data tab > Historical Instances can be backfilled is set to "Yes"
7. What do you want to do next? 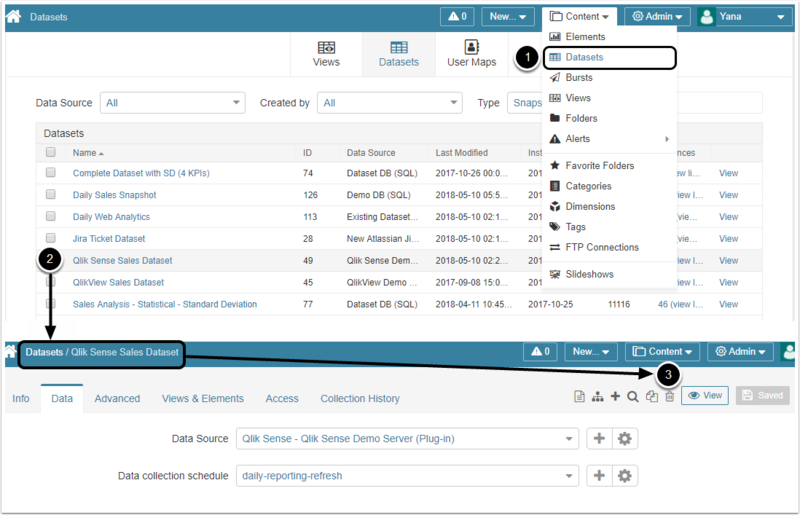 This allows to User receive immediate / daily / weekly / monthly emails with Report updates. 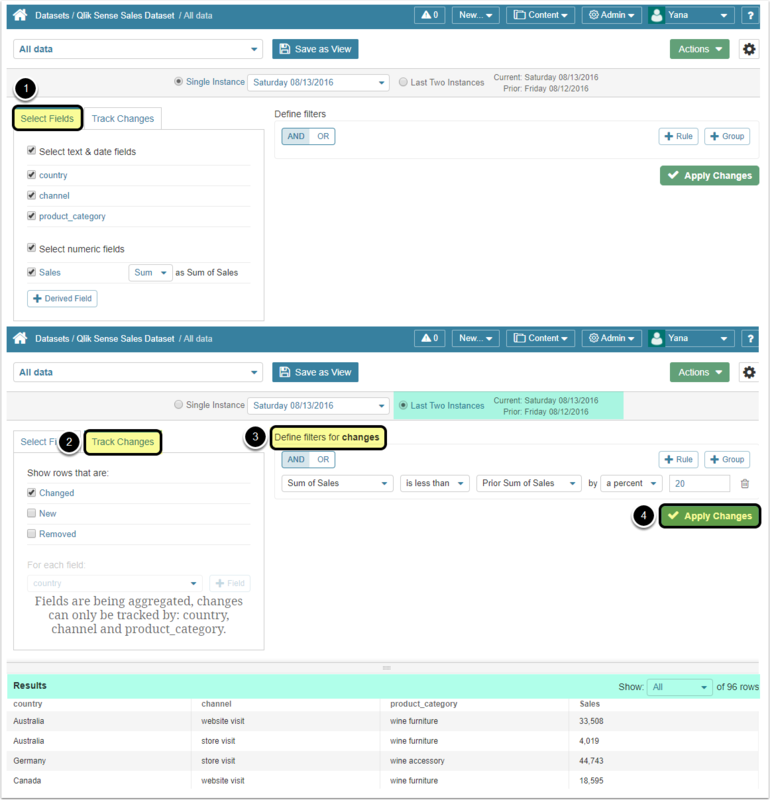 Next: Sourcing Reports / Metrics / Dimensions from "Existing Datasets - SQL"